We perform home inspections in about 10 counties throughout Washington from Seattle to Wenatchee. Occasionally our clients call to book an inspection and are still a little confused about the inspection cost– who pays it, how much it is, etc. 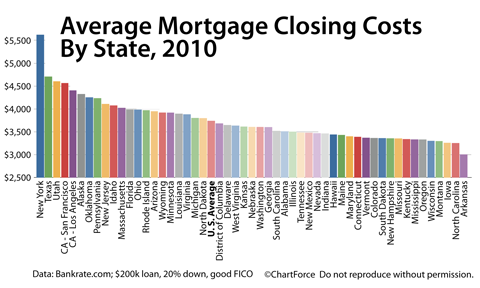 We did a little internet search and found a few closing cost calculators that may help the potential home buyer. The calculator we are sharing seems to have the most descriptions of the costs, but will only give you a rough idea since the costs are only estimations. For example, they estimate the cost of an inspection at $175, but our inspections start at $275…this is standard for a single family home. Condos may be less. Also, the appraisal fee usually starts around $300. A loan application fee will be added to the credit report for a combined fee of $75-$300. With all this in mind you can use the calculator to get an idea of the added costs associated with buying a home. If you have a good agent to walk you through the buying process then you won’t be blindsided with these costs. They can also help you negotiate fees that may be shared with the seller. 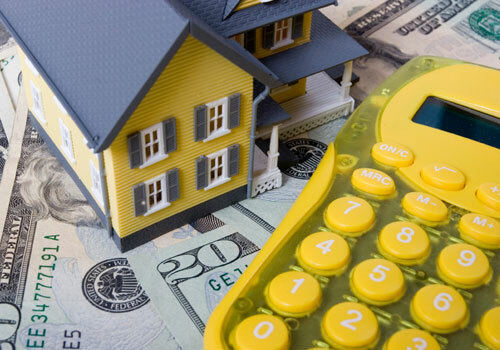 Homeowner Tax Guide: Get All Your Deductions! In a time where buyers are cautious and are really weighing out all the benefits of home ownership here are some considerations for tax season. Several tax deductions and credits are providing relief to homeowners and making them very proud of their investment decision. Deducting mortgage interest, home equity debt, capital gains on home sales and taking advantage of energy conservation credits are just a few of the tax season benefits that homeowners can cash in on. Do you have a home office? There’s another one. Most of our monthly home loan payment is interest and you can deduct every bit of it. Only those folks with a loan of $1,000,000+ receive a cap on this deduction. We found a great resource from Kiplinger.com. They have listed all the deductions for homeowners at “What’s Deductible? – A to Z.” Check it out to make sure that you’re getting the most deductions as a homeowner. We use a skilled accountant in Wenatchee to guide us through our own tax deductions. We suggest that you hire a recommended accounting professional to point out these important opportunities for you. Can you think of anything better than 300 days of sunshine just a couple of hours drive from Seattle? How about sitting waterfront with the beautiful night sky clear of any city lights, traffic or smog? Here are a few places popping up in Central Washington that could become your major escape destination. 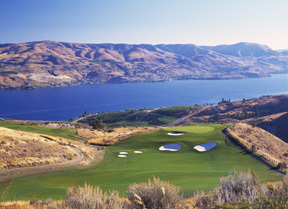 Bear Mountain Ranch in Lake Chelan boasts a premier golf course ranked by PGA Touring Professionals in the top 6 new resorts of America. Bear Mountain has bare lots for your future dream home or custom “Bandera” homes constructed from 10 different floor plans up 3,800 square feet. The Ranch plans call for an orchard, vineyard, equine center and inn with a spa. 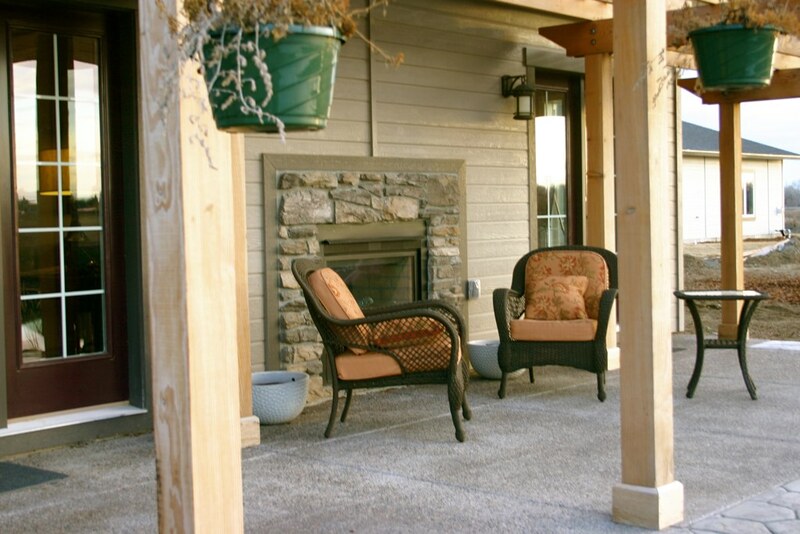 The gated community overlooks the beautiful Lake Chelan and is just a few minutes drive from downtown. Traveling east from Wenatchee The Resort At The Gorge is just getting underway and they’ve got big plans including: a RV park, a water park, bungalows and a 120-unit hotel. Just minutes from the popular Gorge Amphitheater and eyeing the 300,000 patrons that it brings seasonally, the Resort At The Gorge should have no problem stirring up interest. Suitably appointed cliff-side bungalows start at $189,000 for 1,000 square feet. RV Park lots start at $75,000. Other attractions include wineries, climbing, the Columbia River and 850 acres of beautiful canyon land. Finally, Zillah Lakes is located just south of Yakima in the heart of Washington wine country. Developers started construction this month on the golf course at the center of this new residential community. The Zillah Lakes plan includes homes and townhomes constructed along the man-made lakes, a tournament golf course, commercial spaces for a bistro, wine-tasting room, convenience store, coffee shop, bed & breakfast, boutique retailers and live-work office spaces. The Town Center may also include a preschool, motel and brewery. It appears that Central Washington has a lot to offer the weekend traveler. Sunshine, wine and waterfront seem to be the common attractions. Maybe I’ll get lucky soon…I’d love to add golf clubs or a wakeboard to my home inspection tool bag. Give me a call to inspect these properties so I can make a memorable weekend out of it!